There are two Turkish restaurants near my house. Both are inexpensive, authentic places ran by native Turks. They sell the usual fare: lamb shish kabobs, adana kabobs, cigara boregs, tripe soup, fresh Turkish bread. There’s one thing that is missing from the menu: Turkish coffee. That’s right. I’ve asked for it a number of times, and I’ve heard numerous other restaurant patrons ask for it only to be told that it’s not on the menu. Recently a friend of mine, also incredulous at this glaring omission, asked our waiter why exactly Turkish coffee is not served there. 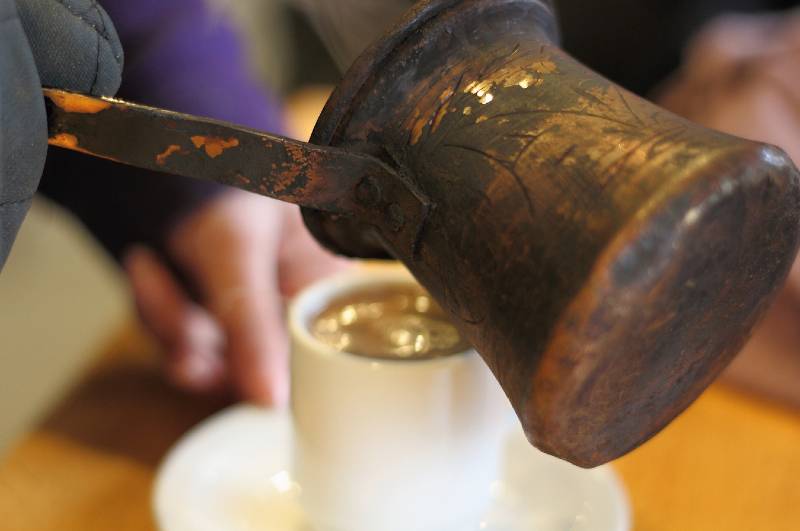 The waiter, apologetic, explained that they used to serve Turkish coffee in the past, but it encouraged local retirees to take up the valuable table spots while buying a single cup of coffee. He pointed out that they now migrated to the nearby Dunkin’ Donuts, where now you can’t find an empty table. Interestingly enough, prior to learning the mystery of the missing coffee, me and my friend were talking about certain technological deficiencies which were caused not so much by stupidity, but by near-pure malice. I also told him about my (now over a decade old) theory that I call “Reverse Hanlon’s Razor“. I think “the Turkish coffee syndrome” is a much catchier name. Well, sometimes it is stupidity. But more often than not the problem is not technogenic in nature. Often it’s political or business-driven. It’s not that the restaurant owners don’t know how to make Turkish coffee. The coffee pots (cezve) and finely ground coffee are sold next door. It’s not even that it takes too long to make the coffee (although that might be a part of the reason). It’s just that the rents in my neighborhood are very high and the table space is at premium, and coffee drinkers tend to linger.